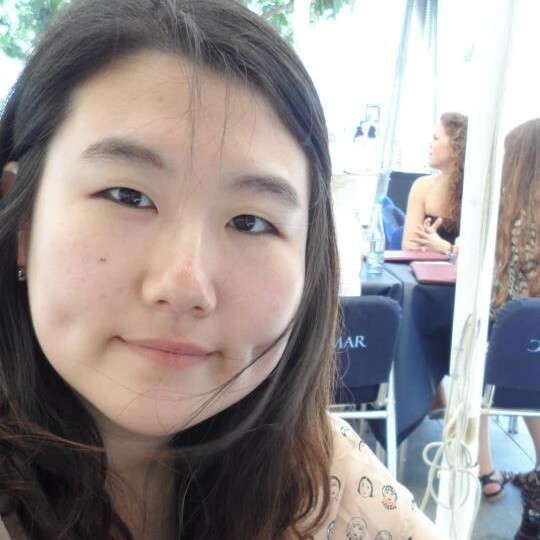 Our lovely student Kwon from Korea undertook 25 weeks General English tuition as part of her Academic Year programme and successfully worked her way up two English language levels from Pre-Intermediate (CEF A2) to Upper-Intermediate (CEF B2)! Kwon studied with us for a 6 month study period from March until August and she is now enjoying a 6 month holiday period and has found a job in a city center cafe where she is using her English everyday. Hello, my name is Kwon. I am Korean and I studied Hospitality at my university before I came to Ireland. I took a year off and came here in order to improve my English, especially my speaking skills, because I would like to work in Tourism so learning foreign languages is essential for me. I had planned studying abroad for a long time. First, I chose the country and city for studying. I would like to go in Europe because I wanted to travel loads of countries while I stay abroad. But there are a lot of Koreans in England already. So I tried to find a country which has very few Korean. At that time, I watched the films ‘ps. I love you’ and ‘Leap year’ which is set in Ireland. And I was fascinated by Ireland. Since then, I searched lots of information about Ireland and decided to come to Cork. I came here through a Language Agency called ABC. As far as I know, ABC is the only Korean agent that has an office in Cork and that is the number one reason why I chose to book with Kim from ABC. Before and after I arrived here, she was so kind as to help me. When I was worried about choosing school, I told her I would like to go school which is kind of family. She recommended me Cork English Academy. So I registered at CEA for 25 weeks and I’ve been very satisfied with the result! I started from an A2 level and got a B2 certification after 6 months. I think my English has improved a lot. At the beginning of school, I was very nervous whenever I spoke English. But now I’m not nervous as much as I was. And I can understand more than before. And for me the most difficult one was pronunciations. So I went to the free pronunciation class every Tuesday. It was really helpful. Also I watched loads of American/English TV shows and movies. And I recorded new vocabularies and useful expressions. I did of course homework and review as much as I could. To be honest, I have only positive comments to say about my school. All staffs and teachers were really, really great. I had periodic meeting with teachers and they always took good care of me. The facilities are also fine with big and clean class rooms, student room and bathrooms. The only bad thing I experienced was sometimes Wifi didn’t work well. When I had a problem in my house, they helped me to find temporary accommodation with their accommodation provider. I lived there for 2 weeks. I thought the location and housemates were good. Usually I had a farewell party every weekend in the pub. The atmosphere is a bit different to pubs in Korea. I spent a lot of nice nights in pub with a pint. Also I used to travel around Ireland on weekends and bank holidays. I visited Kinsale, Cobh, Dublin, Dingle and so on. In my opinion, the best place I’ve visited in Ireland was Dingle. I hired a car with my friends and drove along the shore. It was awesome! You can get there by tourist bus as well, but I strongly recommend driving to get there. Now I finished my long race in school and I am working in Gloria Jean’s coffee. Sometimes I face a difficult problem when I take the order I am getting better. I think it is another opportunity to improve my English. I would like to recommend my friends to come here and study English, for me, it’s the best place to study English. Thank you Kwon! We hope you come by and visit us soon.